It is not the "normal market", but the "love market", once a year on March 27th this lunar calendar returns again as a loud, cheerful note on the land of Meo Vac with stones and flowers. Ha Giang tourism brings a lot of interesting experiences. Ha Giang is not only beautiful because of majestic scenery, winding winding roads, flowers blooming but also beautiful by human beings, because of the cultural characteristics that have been passed down through the ages. The market Khau Vai (Khau Vai by the Tay ethnic language, Nung ethnic means Gai pass) also known as "Phong Luu" market. Khau Vai love market has been around for nearly 100 years, dating from 1919. The market is on a hill in Khau Vai village, Khau Vai commune, Meo Vac district, Ha Giang province, about 200m from the city. It is not the "normal market", but the "love market", once a year on March 27th this lunar calendar returns again as a loud, cheerful note on the land of Meo Vac with stones and flowers. In 2018, the festival "Khau Vai love market", Ha Giang province will be held from 10 to 12 May (from 25 to 27 lunar March). Features of "Khau Vai love market"
There are people far away, the road to Khau Vai market must overcome the rugged mountains but they do not hesitate. Their legs crossed the high mountains to find the landing of love. The market is like wearing a colorful shirt of the national colors of ethnic girls rustled in traditional brocade dress, with the same bright face of the boys. Night down, the market Khau Vai became poetic by the traditional singing, the sound of Khen call your love, waiting for you by the bowl full of corn wine, the girls are colorful flower skirt, shyly. Interestingly, there are many couples going to Khau Vai Love Market; wife find friend of wife, husband find friend of husband. They are not jealous but respect each other, they view it as sharing with the life of the spouse. But those moments were only allowed to take place on March 27. After this "heart" must close. In recent years, the Khau Vai Love Market has been revived and promoted thanks to appropriate policies on preservation and promotion of traditional cultural values imbued with national identity in the area. 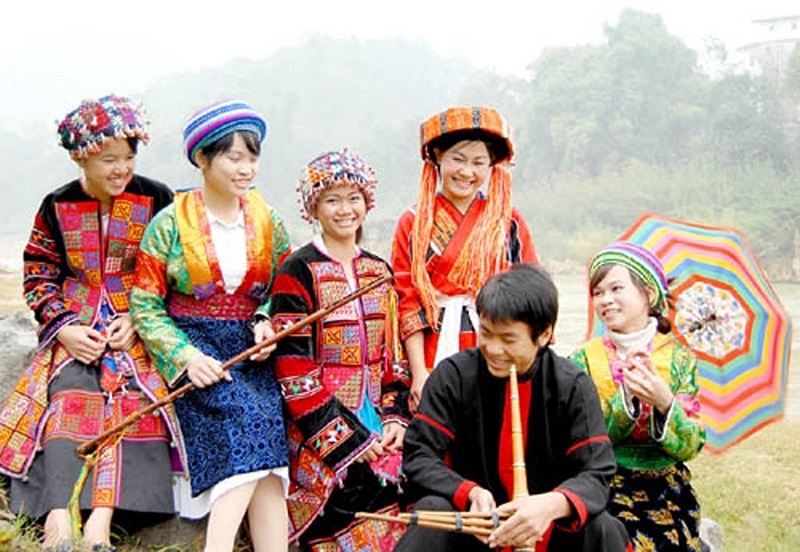 On April 26, 2011, Ha Giang’s People’s Committee decided to rank Khau Vai Love Market as provincial level cultural heritage. 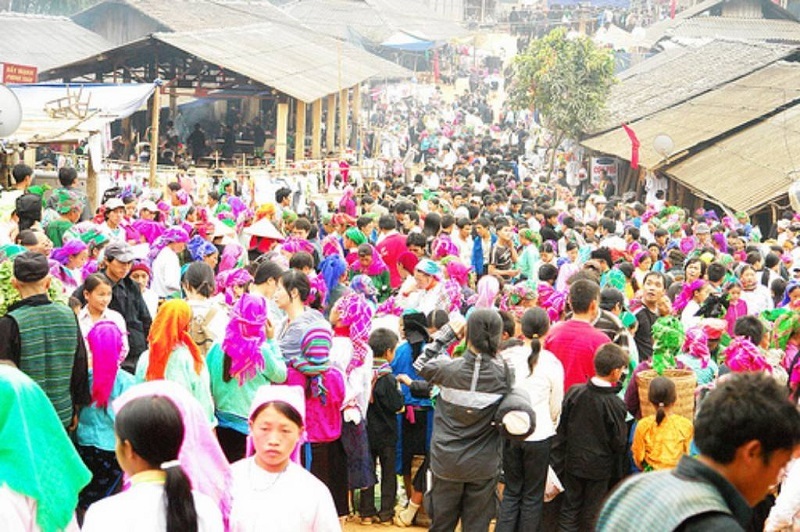 Khau Vai Love Market has become a tourist attractive destination in Ha Giang for domestic and foreign visitors along with Mount Co Tien, Ma Pi Leng pass, and Lung Cu flagpole. Those who visit Khau Vai Love Market on March 27 by lunar calendar will have opportunity to experience the local unique traits and characters.